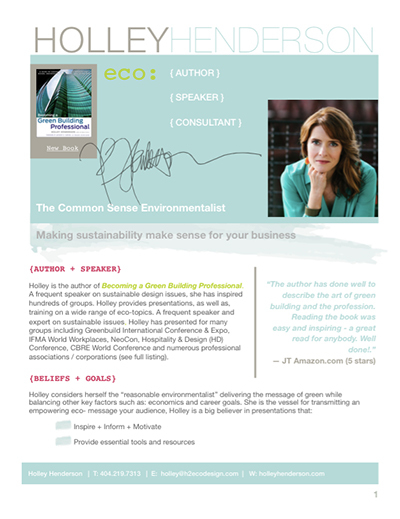 Team with Holley for speaking, corporate training and consulting. 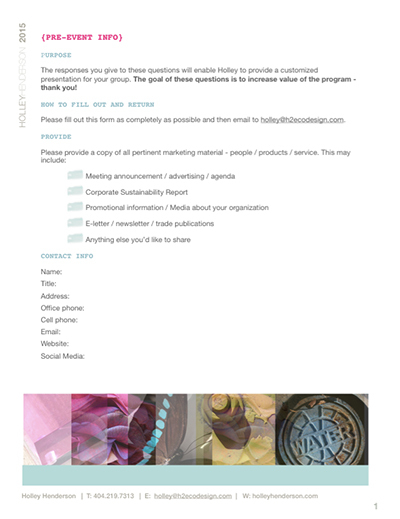 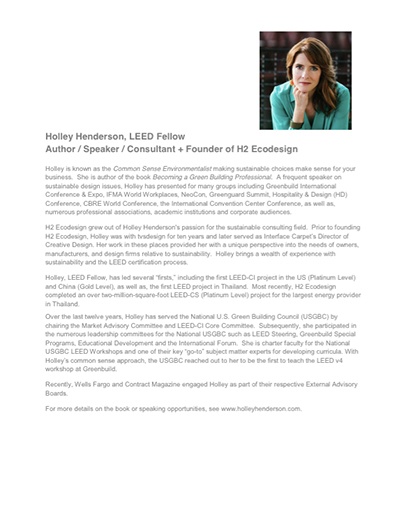 Stay up to date with Holley's latest eco-thoughts. 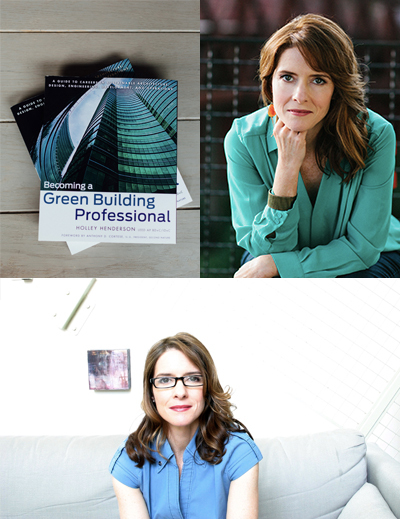 Smart resources for green professionals.